The holidays are not the holidays without experiencing a nostalgic moment. 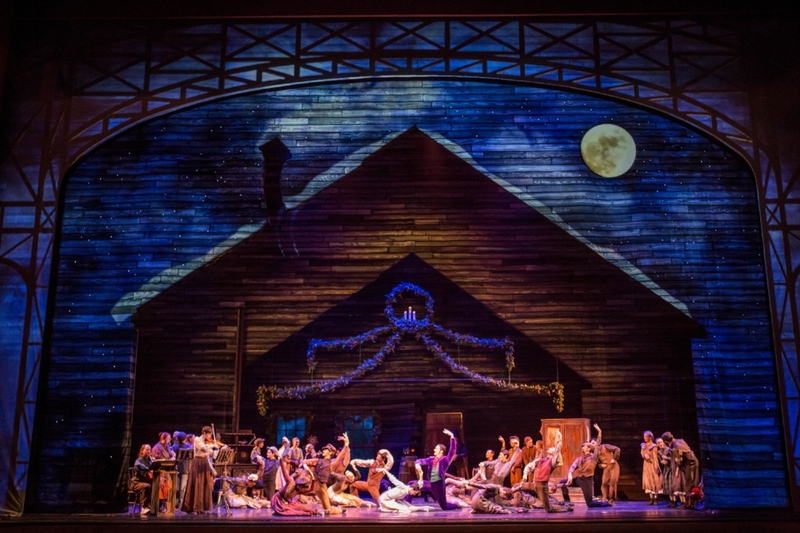 This year, I was invited to see the Joffrey Ballet's Nutcracker led by Artistic Director Ashley Wheater, Executive Director Craig Cameron and 2015 Tony Award winner Christopher Wheeldon - the genius behind the choreography. On December 10th - also opening night, my friend Tara and I walked into Chicago's historic grand auditorium of the Roosevelt Theatre. As soon as we were seated, I was instantly transformed into 10 year old Kamerin from the past when I saw the Nutcracker for the first time with my parents. I could remember ballerinas dancing like feathers and a large wooden Nutcracker all whimsically exploring the 1893 World's Fair. Fast forwarding to the present, now I'm the 26 year old version of that 10 year old child anxiously ready to see the show a second time around. Chicago is known for so many great things, especially its rich history. The World's Columbian Exposition had such an impact on Chicago's history, deeming it a great American stature. After settling the frontier, America welcomed it's place in the universe with open arms. Thanks to the beauty of creativity, Christopher Wheeldon and his team helped the audience visually reimagine visiting the World's fair. Think of a massive fair including an abundance of architecture and exotic foreign pavilions. For any type of visitor, one can imagine experiencing the fair nothing short of magical. Wow, If I could only transport myself back in time. 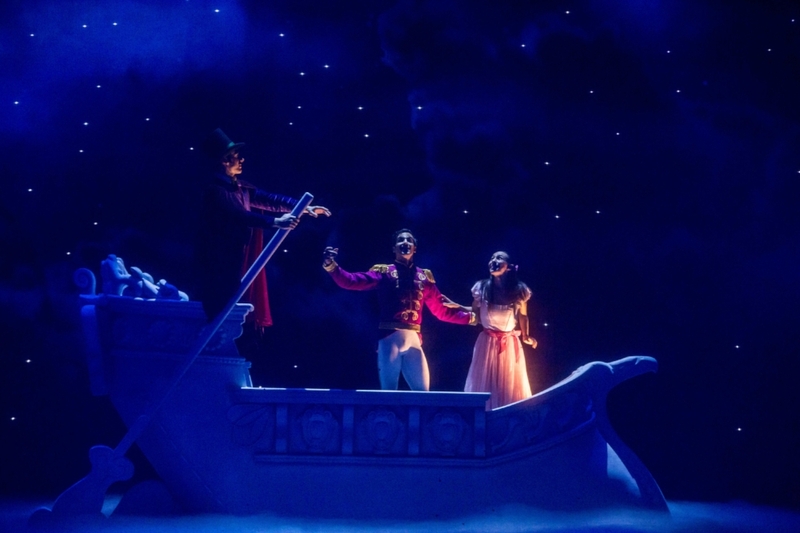 The production savored the spirit of the history behind the Nutcracker, but gave us a fresh dose of their perception of the story from a new lens. The curtains on stage started to rise and the show began. The ballet is split between two acts. Act I, the stage opens on Christmas Eve, 1892 as workers from across the globe get into formation to construct the Chicago Columbian World's Exposition - set to open five months later. Main character Marie and her younger brother Franz arrive at home, in a cozy little shack where their mother, a sculptress begins creating an amazing addition that will be shown over the fair. Workers from the fair arrive to the little shack joining the buoyant family in song and dance, sharing holiday tradition and Christmas festivities. I felt a sense of warmth from watching the night filled backdrop of a cozy shack symbolizing a loving home in a new found land. Impresario - the mastermind and creator of the World fair had a mysteriousness to himself. It made me more and more intrigued by his character throughout the production. Him and his apprentice Peter both arrived to the shack to entertain the workers with a vision of how he foresees his fair and distributed gifts to all, including a nutcracker for Marie. After the party subsided, Marie and Franz headed to bed. What Marie didn't realize is that same evening, she would awake from her sleep to an epic battle between toy soldiers and mice led by The Mouse King and her Nutcracker, now life-size. Marie claimed her victory and the Mouse King claimed his defeat. The Nutcracker (now transformed into a charming prince) shared an enchanting dance to claim their victory against the Mouse King. Soon after, The Impresario, the young Prince and Marie began to set sail into the starry night. Act I faded into the backdrop and the audience devoured the space with a roaring round of applause. The first intermission ends and ACT II began. As as the Impresario, the prince and Marie arrive on shore, they are greeted by the Queen of the Fair and granted a visit to the World’s Fair in a dream-like fashion. You couldn't help but notice the Queen as she performed a solo dance that screamed beauty, strength and queendom. Some countries from all parts of the world were represented as they traveled from pavilion to pavilion. As the dream-like journey through the World Fair came to an end, Marie suddenly woke up on Christmas Day. My friend and I joined in on the standing ovation for the entire production team who has now joined the stage. Not only was I visually transported back in time to my childhood, but my ears exploded with euphoria thanks to the accompaniment of the classic Tchaikovsky score for every performance led by the Chicago Philharmonic and Joffrey Music Director Scott Speck. Christmas may be over, but the holidays still live on. If you're like me and you're guilty of doing anything last minute for the holidays this year, it's definitely not too late. Snag some tickets of The Nutcracker and start a new holiday tradition by seeing the show with your friends, loved ones or significant other. The show runs until Dec 30th, so there's still time. I'm ready to see the Nutcracker a third time at some point in my life. If you haven't seen it yet, I'm hoping at some point of your life you experience this production as well. When that time comes, there's no doubt in my mind our inner child will be as pleased as I was this time around. Until next time..